The latest news in the world of flocking, coating and laminating. All of AIGLE's technical innovations and technologies, challenges and results are shown here. 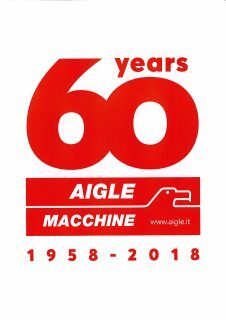 AIGLE MAKES 60 YEARS OF ACTIVITY! The Pre-Vulcanization unit, mod. 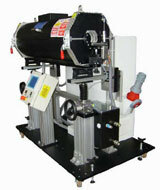 NRIV-101 is an infrared oven that is very compact and grants efficiency in terms of productivity and energy saving. 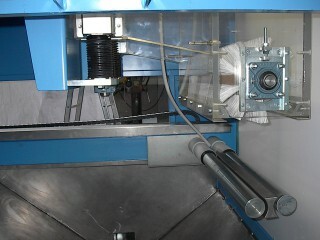 A new innovative line for powder distribution on fabrics was recently installed. 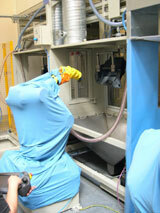 The flexibility of this plant allows for the production of items for several sectors: furnishings, clothing, etc. We poduced with success the first coating unit suitable for the application of chemical products realised with nanotechnologies. 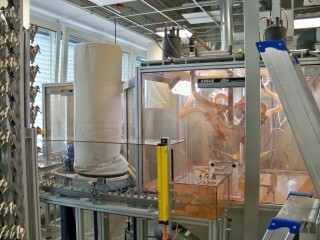 This unit therefore accomodates very precise applications, granting an extremely light-weight product (when it’s dry). We manufactured several units mod. “Plotter-Heat”. 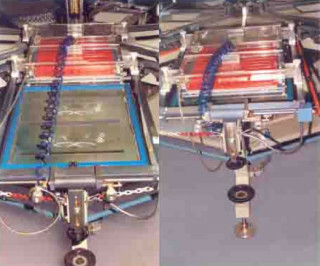 This machine allows the user to increase the production speed and to ‘collect’ the fumes coming from the printing drying process. New flocking plants that work with usefully large widths have been recently installed with success in Spain, Belgium, Germany, Taiwan and India. 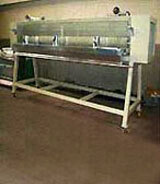 These machines offer advanced technological development. 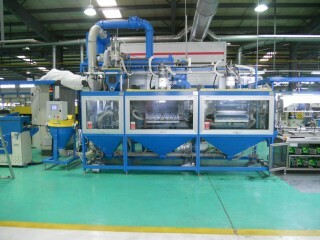 The start up of plants for back-coating for carpets, with useful width over than 5000 mm, is going on with success. AIGLE’s flocking machines and lines for the market sectors of flocking on wall-paper and on packaging paper and both design and total covered, is going on with continued success. 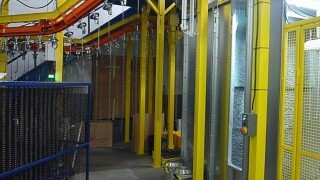 New plants were recently installed in Italy, Germany and Sweden. 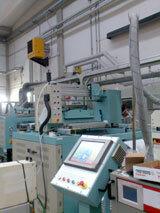 We have recently installed flock printing units for sheets and garments. 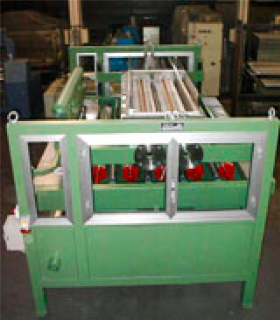 Our equipment guarantees good performance in terms of productivity, quality and reliability. 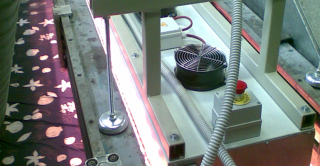 We manufactured several pieces of equipment for flocking car rubber profiles in a discontinuous process. 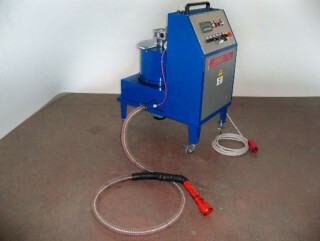 These machines grant good flexibility and great product quality. 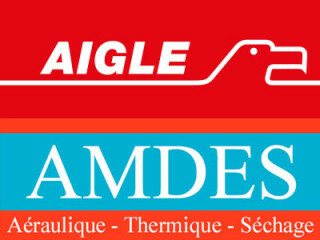 AIGLE has produced a new line for tiles flocking designs. 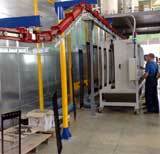 This innovative production line is a unique business opportunity as it is very interesting. 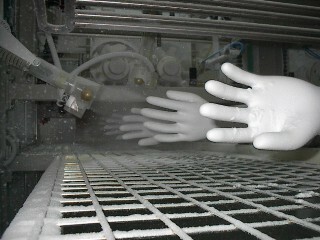 AIGLE has completed with success an innovative plant for flocking car glove boxes, that uses anthropomorphic robots for glue application and flocking. 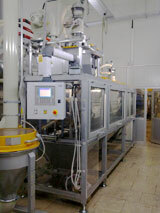 The configuration and characteristics of the oven considerably increases the overall line productivity.